You can earn 269 yards with this purchase! The King F9 Women’s SpeedBack fairways are re-engineered with BAFFLER® rails and a low back tungsten weight that optimize turf interaction. 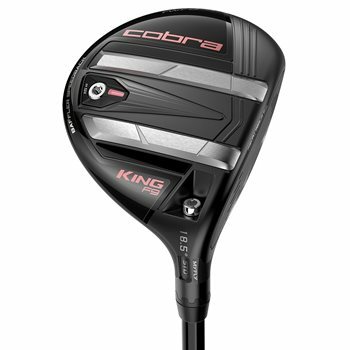 As well as a lower CG for an improved launch and faster clubhead speed from any lie. This club is also golf’s first fairway that features a CNC milled face, which contains a forged and precision milled 475 stainless steel face insert.